Two top executives at Acacia Mining (LON:ACA), Tanzania's No.1 gold producer, are leaving the company following months of troubles in the Eastern Africa’s country and ongoing efforts of parent company Barrick Gold (TSX, NYSE:ABX) to put an end to the long-dragged dispute. Chief executive Brad Gordon and finance director Andrew Wray will remain with Acacia until the end of the year to “ensure a smooth transition,” the miner said in the a statement. “Brad will be returning to Australia for family reasons, while Andrew is pursuing an opportunity elsewhere,” the company said to explain the reasons of their sudden departure. Chief executive Brad Gordon and finance chief Andrew Wray are both leaving by year-end amid parent company Barrick’s efforts to end a long-dragged dispute with Tanzania’s Gov’t. 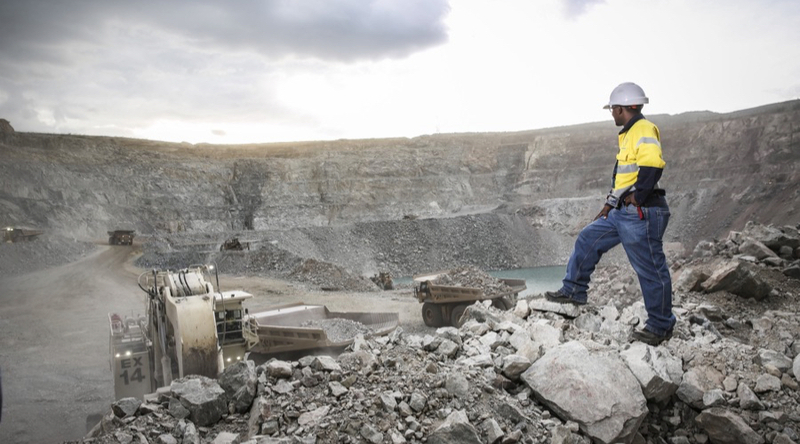 Acacia has faced government pressure since March when the country imposed a ban on gold concentrate, which represents about a third of Acacia’s output. The accusations against the miner, in which Barrick has a 64% stake, include tax evasion and illegal operations, which prompted authorities to question staff and even block one of the firm’s senior executives from leaving the country in one occasion. Barrick decided to intervene in hopes of reaching an agreement with authorities and leave any differences behind. Last month, it announced that Acacia would pay Tanzania $300 million and hand the government a 16% stake in three of its gold mines. But Acacia, which was not directly involved in the talks, said it could not afford such payment. Additionally, the deal struck by Barrick did not resolve the row over alleged unpaid taxes. Magufuli has refused to negotiate with Acacia and its executives. He has been dealing exclusively with Barrick’s executive chairman John Thornton. This is way some analysts believe the departures could help smooth a deal with Tanzania. "Clearly not a positive given the depth of experience that Brad and Andrew have, but it could appease the Tanzanian government as Barrick will be able to say how they are sorting things out, even if it had nothing to do with them," Investec said in a note to clients Thursday. With the challenging situation in Tanzania, and management’s limited role in negotiations with the Tanzanian government, we believe that this announcement will not come as a great surprise to the market. However, we do view the departure of Mr. Gordon and Mr. Wray as a negative for sentiment around Acacia shares, particularly given the positive changes both have made to the business since their respective appointments, both in terms of operational and financial performance. Acacia shares suffered after the news, falling about 4% in early trade to 174 pence. The miner has appointed the head of organizational effectiveness Peter Geleta as interim CEO. Jaco Maritz, the current general manager finance, will assume as finance chief. Both will take charge in January 2018.